You can read all the personal finance blogs and books ever produced to learn to be successful with finances. But none of it really means anything until you use that knowledge to take action in your financial situation. To set yourself up for financial success, you have to focus your effort on things that work, and stop wasting precious time on those that don’t. The more of these you complete, the more success you’ll have in your financial life, and in other areas as well. If you’ve already completed some of these action items, that’s great, you’re ahead of the game! Complete the rest and you’ll succeed that much more! Leave a comment at the end if you have any tips to share that you don’t see here. Credit cards are not your friend. You spend more overall when you use them, and carrying a balance (like the majority of card holders do) incurs interest and fees that increase your cost of living. The convenience is not worth it the dollars wasted. Go naked and stop using credit for good. Pay yourself first, before the credit card companies and car payments. Put a designated amount of money into savings and investments before paying anyone else. Waiting to put money into savings and investments with what’s left after paying all the bills rarely works well. Have that money automatically deducted from your paycheck and put into a 401k, IRA, or other investment account. If you do that automatically, you won’t even have to think about it when you get paid, it’s already done for you. Once you ditch the credit cards, use only cash to finance your life. “Cash” also includes checks and debit cards. When you use cash, you know you have a limited supply and you’re more thoughtful about your spending. I prefer to use cash in an envelope system. Invest in knowledge and skills that make you more valuable to your employer or your own business. Mastering new technologies and skills almost always translates into more money through raises, job promotions, or increased business. It sounds obvious, but most people don’t do it. Living on less than you make is not hard to do when you go cash only and consistently do a written monthly budget. Most people who are in debt are spending more than they make every single year. Much like the federal government, this is unsustainable in the long run. Stop making excuses and just do it! I’ve been preaching this for years and I won’t stop. Do a written budget every month, spending your money on paper before you spend it in the real world. A written budget for your finances is the absolute best tool you can use to get complete control over your money, spend less than you make, and stop living paycheck to paycheck. I wrote THE book on how to make a budget that works. You can check it out here. Debt serves as a drag on your finances and your life. When you use it, you always pay more than if you had just used cash instead. Make a plan to get out of debt, work that plan to completion, and you’ll be shocked at how freeing it can be to live without debt payments dragging you down. You can’t truly be a financial success unless you give some of your money away. The more you have, the more generous you should be. I recommend at least tithing 10%, as well as giving additional amounts on top of that. The Bible says repeatedly that when you’re a giver, you will have at least what you need, and you will even have an abundance, which allows you to be even more generous. Giving is a virtuous cycle that benefits everyone involved. You WILL have an emergency that requires money to fix! When you are prepared for the inevitable car breakdown or water heater explosion, you’ll have cash to deal with the problem on the spot, instead of having to deal with payments and interest for months or even years because you weren’t prepared and had to go into debt. You can read more about how to start an emergency fund here. Over the long term, owning a home is better than renting. It doesn’t always have a high return as an investment, but owning a home does build long term wealth as you build up equity over time. As you get the home paid off, you won’t have the problem of paying ever increasing rent in your old age as your income declines. Studies have shown that a happy marriage can be key to building financial wealth, as well as a healthy, happy life. Work on your marriage consistently to continue making the relationship stronger over time. An unhappy marriage or a divorce has huge costs to emotional happiness and monetary wealth. Here are a few posts on money and marriage you might find helpful. Make sure you have health insurance, life insurance, home insurance, disability, and any other insurance that will protect you and your family against an unforeseen disaster that can ruin you financially. These things happen more often than you realize, so be prepared. Yes, you can pay cash for your next car. I’ve done it twice now, and it feels so great to not have car payments any more! Here’s how you can pay cash for your cars until you die or the kids take away the keys. –Dr. Jason Cabler is a Christian personal finance blogger, author and speaker. 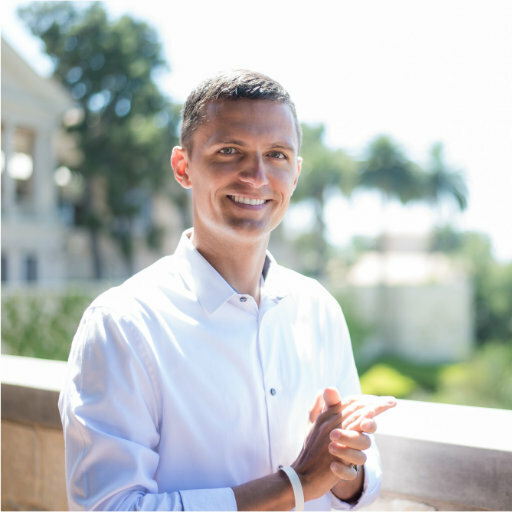 He teaches how to get out of debt and live a debt-free lifestyle via his Celebrating Financial Freedom blog and online course. His new book “Balance- The Quick and Easy Guide to Financial Stability Using a Budget” is now available on Amazon.com. He can be reached for interviews or speaking engagements by email, and can be found on Twitter, Facebook, and Google +.